As I get ready to launch Oracle School this fall, I think back to this summer and the extraordinary opportunities I had to serve the groups I was invited to speak at. I taught some powerful workshops, but I also did readings and mediumship. I’m still amazed at how this has all transpired for me, given my former resistance to fully embrace spiritual mediumship as a natural progression of my service. I remember vividly how, years ago every time I heard the Call to this particular facet of service, well I answered it, then was suitably stunned, and promptly hung up the celestial phone. “Um, No way… too many weirdos, too many haters, too much responsibility, not enough proof, too many others doing this well, such strong tradition, not for me” etc. etc. etc. Call back later I’ve made other plans. Have you ever run away from the one thing that lights you up and makes your heart sing for fear of what others might think, feeling unworthy perhaps or just plain not wanting the responsibility? I fought the truth of my life for so long I exhausted myself. I always wanted to be something else. I thought I was going to do readings only until my music career took off. I was no way going to be known as a medium, or psychic! Can you believe it? I had a ginormous chip on my shoulder about this, and yet it was calling me all the time. My authentic life was always waiting for me. I had to surrender. And look where I am now. Although I retired from readings a couple of years ago so I could focus on creating oracle cards and launching Oracle School, I still do mediumship for charity, and I love it so much… it’s like getting a shot of B12. I’d like to mention here that one of the best workshops that I have created to teach you about Oracle Cards will be starting on September 13th. Cards saved my life and giving you the inside information on how you can connect to Universe through Oracle Cards to create your ideal life. You can save your spot now. I am as woo woo as they come and I’m also a science nerd. Why not be everything you are? I didn’t think I could. Even though I have done mediumship as a natural part of my readings for 30 years, I always said “ I’m not really a medium. I am just really good at tuning into information about those who crossed over so don’t call me that.” It was only since my motorcycle accident six years ago that I have heart and soul allowed all this to be so public, no longer apologizing for “intruding” on this sacred ground with my unconventional delivery. No more “ I don’t really do this,” etc. Here’s the bottom line. As soon as I step on a stage, “dead people” talk to me and they have a whole lot to say and so bring it on. Those in the afterlife are pretty clear that I’m open for messages and for delivering healing for their loved ones still here. Yes, I had other less woo woo and more artistic career plans and aspirations because I just wanted to fit in and because I was afraid of what I’d discover – I’d be too weird! But Spirit just laughed, and so here I am. Today I have no fear, and I am loving my weird. My TV show Messages from Spirit (Amazon Prime and Youtube) is all about this- spiritual mediumship as a catalyst for healing and transformation. Surprise I talk to dead people. And I am humbled and awestruck and stunned and filled with such gratitude. I didn’t hang up this time. But regardless of what this is, or, even what I’m doing or how others are being impacted at all, this story is about answering the Call – your call and stepping into the Unknown to discover who and what you are. I don’t do mediumship as a full-time gig, it’s a part of what I do, but it’s a beautiful thing and not something I hesitate about anymore. It called me, and I had to answer. And I am so glad I did. Being authentic is accepting all parts of you and not trying to place limits on your gifts and skills and interests out of fear. I wonder how you see yourself evolving in your life and if you’ve struggled in any way with fully accepting who you really are, what you’re really called to do, and how that will change you if you step into that authenticity. I know for me fear was the rapacious creditor, the one force that exacted the price of my true Self. When you make decisions motivated by fear nothing bright can shine. At best you will be creating a structure without a soul. You wonder why you’re not happy. Maybe you heard the Call and just said no it’s too scary I am going to stay right here thank you very much and slammed the spirit phone down. But once you hear the Call, you can never un-hear it. You know? You will always sense there is something more, something deeper, something beckoning, something Unknown waiting. It changes you even if you say no to it. I know the exact moment when I hung up was when I got a letter and a petition from a church suggesting that I seemed like a nice lady but did I know I was channeling Satan, followed by some threats online. I admit it. I was scared. I had so many other gifts it was easier to try to create something safer with those. The most important lesson I have learned from all of this is to trust Spirit, to let go the need to please others, to refuse to care about what “they” think, either good or bad other people’s opinions of me are none of my business. Haters and trolls go after everyone, and a bright light attracts a lot of bugs. Have you ever said no to your Calling, so others will like you? Do you fear that you will be ostracized for being different? Are you answering your call now? If so tell us what it’s like so others can explore too. I will not dim my light for anyone ever again. Say this with me 3 times and click your heels. Grace is bestowed on us when we answer the Call. Miracles will happen for you too when you say yes to the Call regardless that it may lead you into some weird and Unknown places. You Be You. Stand in your Truth, your Power, your Service whatever it will be. Spirit, or the Universe, Source, the Divine, etc. no matter what you call this Great Intelligence – IT, not YOU, will decide the form. Spirit is calling. Your miracles are waiting. Will you answer? No doubt, just like you, and many others, the fear can feel so real…but thank you so much for answering that call and leading the way of what is truly possible! I’m so thrilled to have been a part of Oracle School with PM and SW! And I don’t plan on going anywhere for a long time being a part of the alumni gang! I’m so happy to be in this expanded place of Self I fought for so long…excited as I move forward helping women embrace their full wisdom and power through my Oracle Guide work. YES!!!! big hug for being YOU! Hi I appreciate your message it is lovely. In my case I honestly don’t believe that I’ve got a calling or hung up on spirit . I do wish/ want to work with spirit. I just don’t have a clue. I’m not good at interpreting cards runes etc. The only thing that ever worked for me is ouijja board or even making one on paper. Thanks Colette! I needed to hear this message today. I have been struggling with my life purpose and direction, but feel I have more clarity now. I just have to take action. All the best! Thank you Colette for this Very Important Message!! Well needed for sure! Thank You for all you do!! No clue what my calling is. Hi Judy – You are not alone! I am and have been willing to step out when and where I am asked, but so far I still don’t know what that is! I am almost 60. I just keep going but right now, I feel like I am running out of time and nothing in particular calls to me. I start going down the road – exploring – and then the doors doesn’t seem to open. I keep knocking. I will continue more because I am just stubborn than anything else. I watch for signs and feelings. I guess I will see what happens. Some times I think perhaps I did what I really came to do and now I get time off…still not sure but hanging in there. I totally agree with you Jeannette. You and I must be walking the same path, so let’s plant some flowers along the way to make our journey more beautiful. Blessings. I remember meeting you years ago when my first husband passed away and had a bone disease as a young man and you kept tapping your ankle and cautiously asked me about it and I was a tad freaked out. You also met my son Noah whom you believed had spiritual gifts. He went to a weekend retreat with you. Off and on, I have followed you since you peaked my curiosity. Had a stroke almost two years ago which affected my occipital lobe and left me with missing visual fields which forced me to slow down and open my eyes to many things. Age brings wisdom. Many hellos and good wishes. Colette, thank you for always sharing your insights. In reading your blog and listening to your reading I wondered, what if you never hear the call? I turned 50 this year and I don’t know anymore now then when I left school over thirty three years ago. I guess maybe my issue (besides fear) is that I keep waiting for an ephiphany to hit me. I’ve meditated, asked, prayed for spirit to help guide me because this feeling of being lost with no direction is not only scary, but depressing and debilitating. I look at my sister who has had her calling since she was little. There was no deviation from her path and I deeply admire her hard work and now I see it paying off, but there is still nothing out there that makes me feel like this is where I need to be. I know I can’t give up on myself, but some days I just want to so I continue to meditate and hope for the best. It’s all I know to do. Maybe someday I’ll hear the call. I’m in the same boat as you, LIzzie. Turning 50 later this year and have yet to hear a call. Maybe we’re just late bloomers? 50 does rock! Not doubting that or even my age because I’m in great shape. I go to the gym 4 to 5 days out of the week. Body health is great with occasional aches and pains and I don’t really look my age so that is always positive. It’s the Mental side that is failing miserably. I don’t know what the answer is but I’m going to keep searching. I turn 50 in two weeks and only last year did I find my call. Or it found me. I guess there is different paths to find your calling, but some seem very important to me. 1. Accept things as they are. You are on a journey and you can only know the next right step. Let go of your desire to know the path and see the end goal. 2. Start learning self love. To me self love is the key to open the door to see your calling. Find someone to help you love and accept yourself with all of your imperfections. Love your shadows and learn from them and dare to shine with your light. Embrace all that you are, all the things you don’t want to be and all the things you don’t dare to be. When you practice self love and presence, you will ultimately hear and feel your passion and your calling. But it’s a process and you can’t decide the pace, you can only prepare yourself to hear, receive and trust. Once you hear your calling, you will need a lot of confidence and trust to follow. That’s part of why self love is so important. And if you don’t hear your calling, then you will have self love. And that my friend, is wonderful. I have gone through a transformation during this last year. I found someone to guide me, and the money I have spent, is the best money I have ever spent. Trust that it will come. And don’t compare yourself to others. They are on a different journey. If the question is burning within you will get the answer. You may go on Vision Quest. It may have many forms from traditional Indian ceremony, to the road trip by yourself. Dayly rutine must be broken, so the empty space within can be filled with the Vision. I am so loving your real-ness and genuine being. Everything you’ve said in this blog resonates immensely. And if I knew what was calling me, I’d jump right now. That’s how much your words impact and touch me! I’m lost about my calling or purpose in my present “mid-life”, yet your wisdom and example at least remind me something must be possible for me. Thank you for this blog post, Colette! I am now thinking about the ways in which I hold myself back or change myself to gain acceptance. The first thing that came to my mind is my diet. I like experimenting with “weird” food. I love juices, fasting, raw veganism, extreme things, experimenting, and also when I’m stressed eating peanut butter straight from the jar. I feel that with the people around me, there’s a lot of judgement, they think it’s weird or gross and some years ago I felt kind of excluded and ridiculed and gossiped about for trying veganism so I go back to normal but that’s not really me. Maybe I can try to be me even if I’m rejected for it. And trust that there’s other people for whom my habits are inspiring, not repulsive. I’m so thankful that you answered the call. Oracle School changed my life, and I do not know where I would be without it, but I do know that with it, I’m empowered and living my most unique, authentic, inspired life. Thank you so much, Colette!!! this makes me SOOOOOO happy! Thank you! So affirming. Happy Weirdos Unite! Shine Bright! Thank you for sharing your light!!! Each day I look forward to your daily card at 11:11 a.m. Each week I look forward to your weekly prescriptive video reading and to reading your blog. I love to reply because I feel you fully put yourself into what you offer each week and I want to acknowledge that. The fact that I can, and do, listen to you on HayHouse Radio and your guests, all these have been a way for me to learn to claim myself more fully, to heal myself at the deepest level. So when you write in a blog > say this, ‘I will not dim my light for anyone ever again’, say 3 times and click my heels. Well, I did say it, I will not dim my light for anyone ever again, I will not dim my light for anyone ever again, I will not dim my light for anyone ever again. I clicked my heels. The magic has been made! For my entire I wanted to fit in, have friends, do stuff, yet even as I attempted so many things and did them well, something would divert me to the different way-out path. I have done as many things possible to not be weird but the greatest weird stuff constantly showed up. I can now accept that I am unique and a bit weird and not everyone is meant to like me. 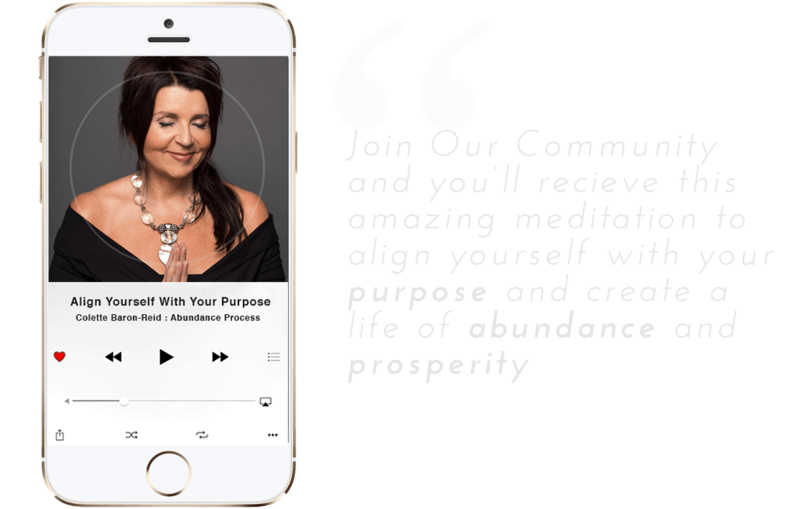 I encourage anyone reading the blog and my comment to dive deep into the self-transformation tools Colette offers. My life has been lifted through using her cards and taking her Self Mastery course and other courses she has taught. I am out and about doing new stuff and feeling that I know myself and can honour myself in a way that once seemed way out of the realm of possibilities. As always I am looking forward to reading the next blog! Hello, Colette. Thank you so verty much for sharing your story with us! It’s truly inspiring! I have heard the Call thirty years ago after a scooter accident. And I hung up the phone, as well, some 19 years ago. It seems that when I am doing the ‘work’ it is a completely natural flow and no problem at all. But when not in that flow the fear of weirdness sets in and brings self doubt. I am working on maintaining my confidence without staying ‘open’ to other’s spirits 24/7. Not quite there yet. So, oracle school is just for women? I feel like I would be too male I guess to fit in with what everyone is searching for. Getting in touch with my feelings, questioning everything. I searched for my path for decades and feel I have a pretty good handle on it. I don’t want to question did I take the right turn in the road whenever. I have accepted myself and the lessons that came with living this life. You have helped me get in touch with spirit and the cards always have shown me what I wanted to hear. This is my year and I love seeing where my life is going. Perhaps we will meet. I’d love that. not at all we have lots of men in the course well.. 15% men! Thank you Colette x This is so serendipitous right now. I have been going through many changes over the last few years; one of the huge parts has been integrating my counsellor (day job) and being a witch (my life path). It was at the I Can Do It event in Birmingham last year that during a meditation that I saw clearly that “I am the Wolf Witch” and it was powerful! This is not the first calling I’ve had but the most vivid. However I dabbled a little and took a step back – but as you say, the calling keeps sending nudges. I know in my soul I am at a cross roads (my cards I pulled were: The Phoenix, Challenger; The Horse King, Challenger; and The Arrow Master, Ally – it that isn’t telling me then nothing will. Hello Colette. I came across your TV show today on Amazon Prime and subsequently came to your website. I am 55 and I am currently working on developing the requisite skills to potentially transition into a career as a fine arts painter. When I saw this appeal to answer the call to discover who we are really meant to be, and I saw the background graphic I was struck. 9/2 is my older daughter’s birthday and I am trying to discover if I have the ability to embrace a career as a painter in the near future once my younger daughter is finished with college. The road going into the horizon and the woman holding paint brushes and a palette were too much of a coincidence to ignore your call. Thank you. I look forward to your workshop. You asked about the results of the three cards we drew: My question was, “What path should I follow to become an artistic master? My first card, ‘My card for the day’ was the upside down YIN card. My second card, ‘What else do I need to know?’ was the WHY card. My third card, ‘Where is this going’ was the upside down CLEAN IT UP card. Wow. I feel I am being drawn/pulled to this path, but I am struggling with discarding all of the other accoutrements of life that tie up our time, attention and energy. Hello Colette. I just came across your TV show today on Amazon Prime and subsequently came to your website. Then I saw your appeal for us to ‘Answer the Call & Discover Who You Are Really Meant To Be’. I am 55 and studying at night to hopefully develop the requisite skills and ability to transition to working as a fine art painter. While the title of your appeal caught my initial attention, it was your background image that really struck me. My older daughter’s birthday is 9/2, the same as this article posting. The image has a women who seems to be roughly the same age as my daughter. The woman in the image has paint smeared on both arms and hands, holding paint brushes and a painter’s palette. The road moves into the horizon, just as I am now looking into the future and the uncertainty of my ability to successfully change careers. Thank you. I look forward to taking your workshop. You asked to hear feedback on the three cards that we selected. My first card, ‘My Card For The Day’ was an upside down YIN card. My third card, ‘Where Is This Going?’ was the upside down CLEAN IT UP card. I am at a loss to speak to how uncanny the guidance seems to fit to my question. love it and welcome to my world !! I love seeing your videos and interviews on the different summits! I love your weekly prescriptive readings! I love your blogs! I love how real you are! Many blessings to you! Thank you for sharing your gifts and love! I hope I can do oracle school with you! This time you had me in the ugly cry. Wish I knew what to do next, have no idea what my calling is and whatever I am doing now despite following other HH speakers, doing meditations, reading books etc..abundance still eludes me. I’m so tired. Thank you for all you do, great to see someone else doing well so I can think that maybe before I die, I’ll finally figure out my path of giving, living, being, earning. I can honestly say that “not knowing ” is the prelude to discovering what I am meant to be. As someone who is naturally curious; I am interested in learning about many subjects. I can recall more than one occasion when I thought I was being called, but it was the motivation that might not have been rooted in the right direction. When I discovered Energy Healing I felt certain that I had something unique to contribute to this new transformative healing process. It was confusing as someone who was working in the field of interior decorating why? I would be so Drawn? Attracted? to this modality of healing. It was a foreign world to me. I had no background, prior knowledge, or training. I was however curious enough to attend two conferences, and to attend a level 1/11 workshop to experience this modality and to learn more about it. Had I second guessed WHY? I would have blocked the opportunity, and I didn’t respond at first as I really didn’t understand how this fit into the blueprint for my life? Nonetheless, it expanded my view, and was educational, broadened my horizons , led me to meet some very interesting, and yes courageous individuals who had left behind them careers of many years to pursue the same vocation. So as with your calling to develop your unique gifts, I still needed to support myself in real form so I have returned to a version of work that is a synthesis of what I have done, but this doorway is a completely uncharted opportunity as the person I work with has never had any prior experience building a new business. So it isn’t about ego, more about being of service to her business, and to be useful to contribute to the growth and development of this new venture. Now 21 months into this story, there are often times when I feel that there must be something that hasn’t been revealed yet; as maybe it isn’t the right time. As someone who is also very “creative” I have explored many different media which have allowed me to design original works of art with no training, or prior experience. So I thoroughly enjoy the process of being a beginner, of exploring, of testing , experimenting, discovering. This is what nourishes my spirit. I have great admiration for your courage and commitment to follow the inner prompts and to align with a greater source to share and offer your unique gifts to the world. “The place G-d calls you to is where your deep gladness and the worlds deep hunger meet” Fred Buechner Ha Ha remember Fred in your book Uncharted. No coincidence that his name is Fred. As I review my life journey, it has always been when I was courageous, and my spirit responded to take the road less travelled. It has enriched my life, and opened me in ways I never could have imagined. I needed to read this today. Thank you Collette. I’m 64 & Spirit has been knocking on my door for years but I had no idea that I was a medium until about 6 months ago. I’m so glad Spirit doesn’t take no for an answer, lol. I’ve been retired for the last few years but it seems that Spirit thinks I have time to work in another career before I’m done here on earth. I’ve decided to answer the call & let Spirit take the lead. It’s turning into an amazing journey! Warms my heart to read this. I love love love the way you express yourself. I’ll be doing the “I will not dim my Light for anyone ever again”(say 3 times & click my heels)daily. Was fun to do that now. 🙂 Thankyou. I’m in my sixties & realise so many strange things have occurred(with me in it) & perhaps I would have liked to have known someone more aware that could have developed any skills I had hints of(for further development into ‘something special’). I have felt ostracised as well as people pleasing as well as withdrawn or kind of floating about yet survived. I realise the importance of “Know Thyself”. Anyway…I’m keen to answer that Divine Call – yes,YES! 🙂 much love. I have been a strong empath my entire life with me putting up shields so I block out the feelings. This year I had a numerology reading (11 life path) and was told I have 4 out of the 6 numbers for being psychic – who knew. I then had a reiki treatment about a month ago, and the reiki master kept hearing “she’s a lightworker”. So now I will be getting my reiki one attunment next week. I have to put the fear aside and see where this takes me. I’ll keep you updated. Blessings to all. love this!! stay tuned for Stars and Cards!